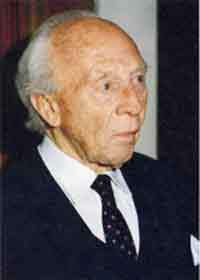 The founder Hans Sonnenfeld was born on 25 December 1901 in Potsdam. After leaving school, in 1918 he began a publishing apprenticeship at the Ullstein publishing house, the most prestigious in Germany at the time. In 1932 he was given commercial power of attorney to represent the company in 1932 and took charge of the printing press, which he ran until the end of the Second World War in May 1945. His crucial association over many years with the publishing house was another sign of the high esteem shown for his personal drive and character. In October 1946, during the reconstruction period at the end of the war, Hans Sonnenfeld was granted a licence to publish a daily newspaper by the American military government. With his co-licensee Maximilian Müller-Jabusch, he founded the late-edition newspaper Der Abend, of which both were directors. Then, in October 1953, he also assumed the management of the MERCATOR printing press jointly founded by the Der Tagesspiegel and Der Abend newspapers. His participation in Der Abend and the management of this newspaper and the MERCATOR printing press came to an end in October 1978. After 32 years working as a publisher and editor, Hans Sonnenfeld retired. 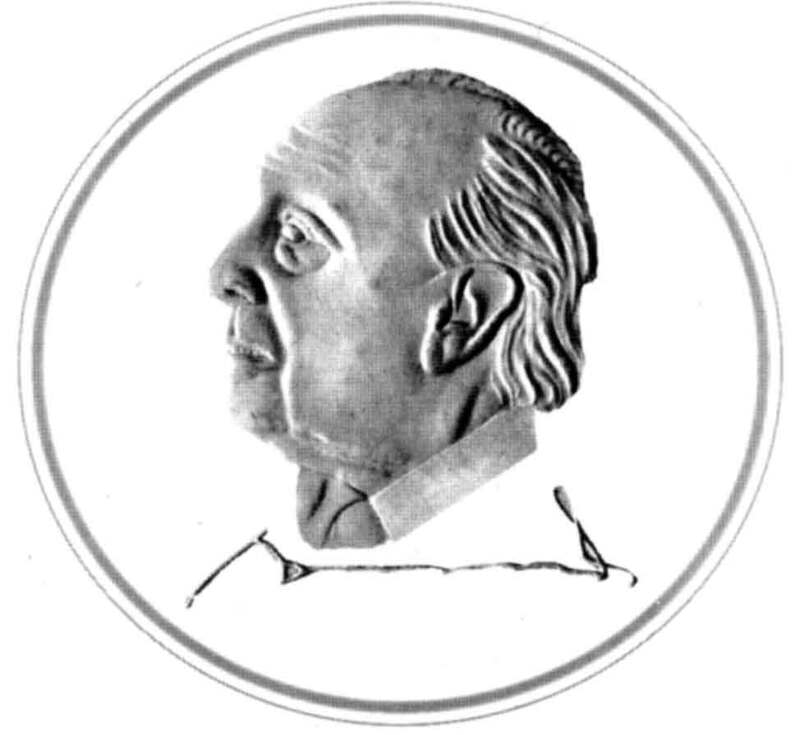 Hans Sonnenfeld’s life’s work received permanent recognition in a number of prestigious awards. He received the Grand Cross of the Order of Merit of the Federal Republic of Germany from the German President in December 1966, and the Ernst Reuter Silver Medal from the Mayor of Berlin in September 1974. A further sign of the high regard for his abilities was his chairmanship over many years of the association of newspaper publishers in Berlin (Verein Berliner Zeitungsverleger) (1949 to 1978), his membership of the board of the German newspaper publishers association (Bundesverband Deutscher Zeitungsverleger) as well as collaboration with the council of the Berlin broadcasting corporation (Sender Freies Berlin) and the German press agency (Deutsche Presseagentur). He received an outstanding honour in December 1988 from the Faculty of Medicine of the Free University of Berlin, which awarded him the honorary title of Doctor of Medicine. Above all this was in recognition of the foundation he had created on 1 December 1974 to support medical research in Berlin. At the time the honorary doctorate was awarded, the foundation had already been supporting major research projects at the Berlin university hospitals for 14 years. Creation of the foundation on 1 December 1974 and its subsequent development. Hans Sonnenfeld created his foundation with energetic support from the businessman Wolfgang Kleß, with legal effect on 1 December 1974. It was named the Maria Sonnenfeld Memorial Foundation in honour of his first wife, who had died. It was to keep this name until the founder’s own death in 1993. Apart from Hans Sonnenfeld himself, the first members of the governing board were the banker Hans Fuhrmann (Deutsche Bank), the physician Dr Fritz Heitz and the tax consultant Wolfgang Kleß. Upon his death Mr Fuhrmann was replaced by Hans-Peter Wolf (Deutsche Bank). The charter was amended in 1979 to enlarge the board to three to five members, at which time Prof. Hansjürgen Frhr. von Villiez also joined. In 1982, Hans Sonnenfeld increased the foundation’s capital to 1.8 million Deutschmarks, and in 1983 its purpose was broadened and the board again expanded to three to seven members. This allowed Prof. Nonnemann to join the board. consultant in internal medicine (specialist in gastroenterology) und senior physician at the Klinikum Steglitz. The board initiated a grant programme to help young medical doctors obtain their PhDs through the provision of financial support for a maximum of two years. Guidelines for the award of funds were drawn up, the fundamentals of which still apply today. The founder Hans Sonnenfeld was awarded the honorary title of Doctor of Medicine. In 1991, Professor Nonnemann left the board. The desire to appoint a scientist from the former East Germany to the board arose as a result of German reunification. A figure of great renown, Prof. Karlheinz Richter, Director of the Institute for Cardiovascular Research in Berlin-Buch, joined the board. In 1992, Prof. Elisabeth Stollenz was invited to join the board. Professor Stollenz, who is a specialist in surgery, occupational medicine and public health, added further range to the specialist skills represented on the board. The year 1993 was overshadowed by the death of our founder. He had previously stepped down, aged 92, from his position as chair of the board at the meeting on 16 August. On the same day, Prof. H. Frhr. von Villiez was elected as the new chair, and the managing director’s contract previously entered into with board member Wolfgang Kleß came into effect. At the founder’s request, after his death his nephew Erhard Sonnenfeld was appointed to the board. The continuing success of the foundation’s work received major recognition in 1998 when it was awarded the Benjamin Franklin Medal by the board of the university hospital of the same name. The honour was bestowed by the Medical Director, Prof. E.O. Riecken. For his personal engagement in setting up and developing the foundation’s grant programme and particularly for taking care of the grant recipients personally, in 2003 Professor von Villiez received an honorary doctorate from both the Faculties of Medicine of what is now the Charité Universitätsmedizin Berlin. Wolfgang Kleß retired from the board with our heartfelt gratitude after 30 years of exceptional work for the foundation. Gabriele Masuch (now Bremer) joined the foundation as its managing director. Two renowned and outstanding scientists joined the board: Prof. Roland Felix and Prof. Werner Reutter. The following year, in 2007, we were saddened to lose our esteemed board member Hans-Peter Wolf, who died that year. 2008 was marked by the energetic work of our managing director to bring about a change to the foundation’s charter in consultation with the Berlin supervisory authority for non-profit organisations. The change would allow the foundation to incorporate trusts in the future. In 2009 the foundation closed the budget with a foundation capital of €12.197 million. In 2010, Prof. Karlheinz Richter left the board for personal reasons. He had enlivened the work for the board in an often enjoyable way, particularly in his discussions with Prof. Stollenz. Also in 2010, Dr. Christian Frhr. von Villiez joined the board. He maintains his full-time professional commitment as spokesperson for the Düsseldorfer Hypothekenbank, but felt ready to join the board and take over the position of deputy chair. In 2011, we lost a highly valued board member in Prof. Stollenz. We said goodbye to her with heartfelt thanks and wishes for a healthy recovery after nearly 20 years of much appreciated collaboration. 2012 was notable especially for the second change of generation in the foundation’s history. The long-standing chair of the board left to be succeeded in that position by his son Dr Christian Frhr. von Villiez, who took over responsibility in full appreciation of our founder’s legacy and will, we hope, ensure the continuity of the work of the Sonnenfeld Foundation for many years to come. The board has full confidence in him. It appointed Hansjürgen von Villiez as honorary chair in a gesture of deep gratitude for his work and the wish that he continue his association with the foundation. Along with this change, Prof. Jörg-Dieter Schulzke was elected deputy chair. At the same board meeting (3 April), we had the pleasure of welcoming a new member to the board: Prof. Bertram Wiedenmann. On 10 July 2012, Wolfgang Kleß sadly passed away. The great number of mourners was the expression of the warm regard felt for our former managing director and co-founder of the Sonnenfeld Foundation. In view of the notable uncertainties throughout the financial sector worldwide, the foundation decided to invest in property, purchasing an apartment block this year and another one the following year. We were delighted to welcome Prof. Rudolf Tauber as board member on 1 January 2013, which means that the board is once again complete.